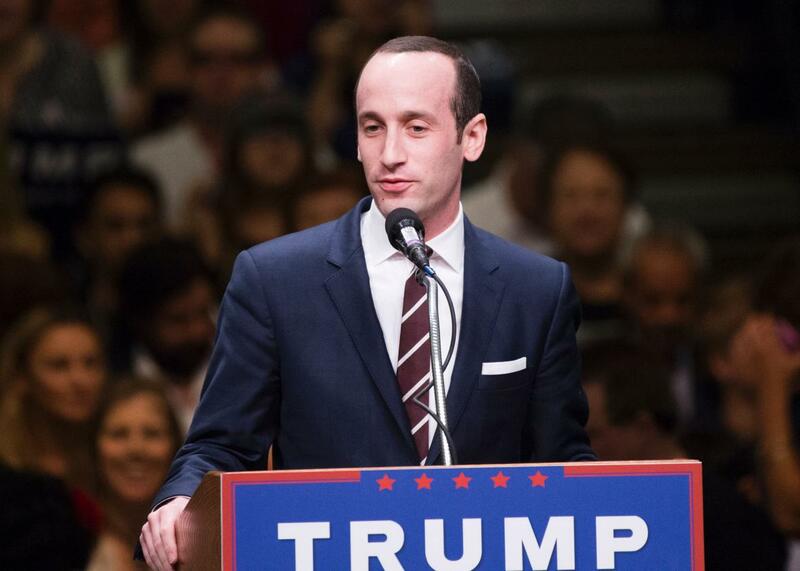 A look back at Trump adviser Stephen Miller's college writing career. Stephen Miller speaks at a Donald Trump rally on May 25 in Anaheim, California. The conservative student newspaper column is one of the most predictable genres of writing in existence. There’s an art to it—certain formal conventions to be followed, certain stock arguments and phrases that demand reuse. Stephen Miller, tapped on Tuesday as a senior adviser in Trump’s White House, would have been well-qualified to teach a master class on the format during his time at Duke, where he wrote a series of columns for the the Duke Chronicle decrying political correctness and other leftist tyrannies with all the milquetoast reactionary spleen of Wall Street Journal editorial writers more than twice his age. “[I]f we want to stay on campus or to limit our interaction with Durham to Cosmic Cantina or perhaps just the delivery drivers, then we have nothing to apologize for. If anything, the insistence on interacting with Durham locals is condescending to the town residents. Durham isn’t a petting zoo. The residents won’t get lonely or irritable if we don’t play with them. “Duke, in lockstep with the modern American university, worships at the altar of multiculturalism. As we obsess over, adulate and extol the non-American cultures we ignore the culture we all hold in common.